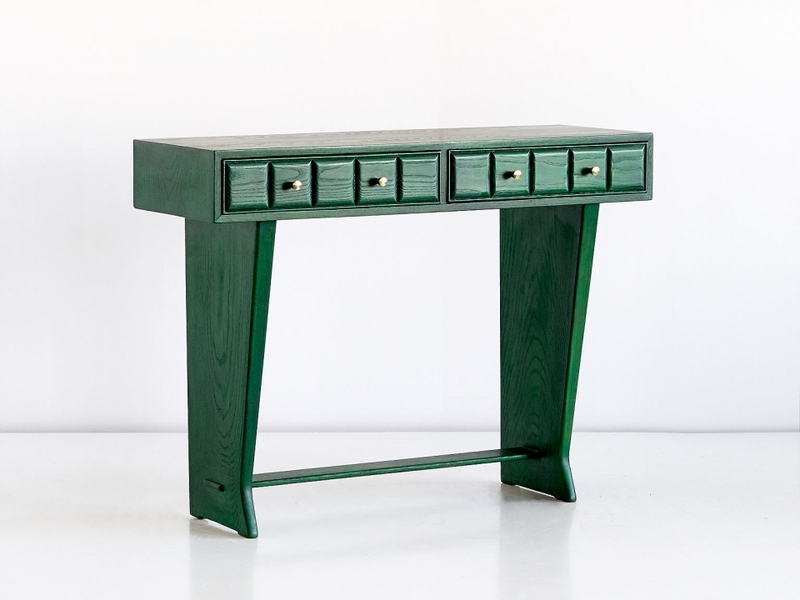 This green painted console was custom designed for a private palazzo residence in Florence. Made in the late 1930s, it was part of a dining room which had an entirely green decor. 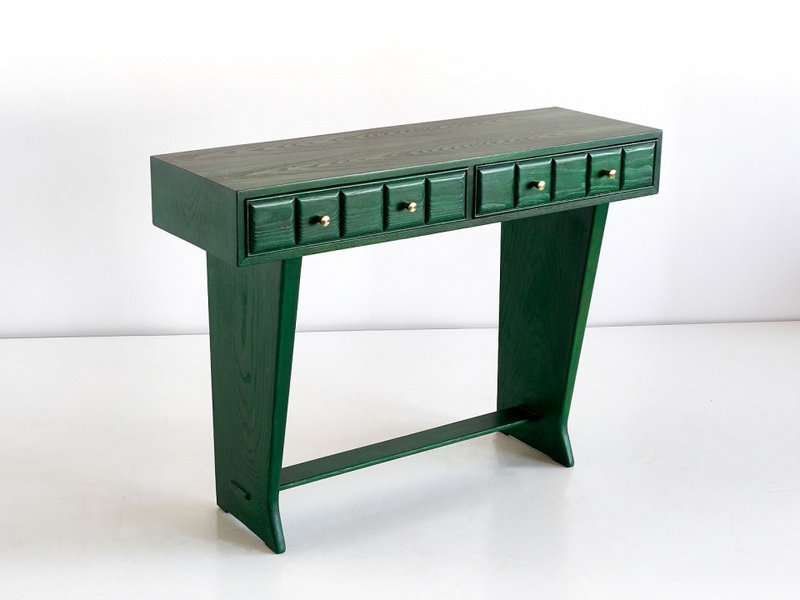 The console table is executed in solid elm and oak wood, with two panelled drawers. The piece is painted so that the beautiful wood grain is kept visible. The green color combined with the brass handles give this piece a refined and elegant appearance. 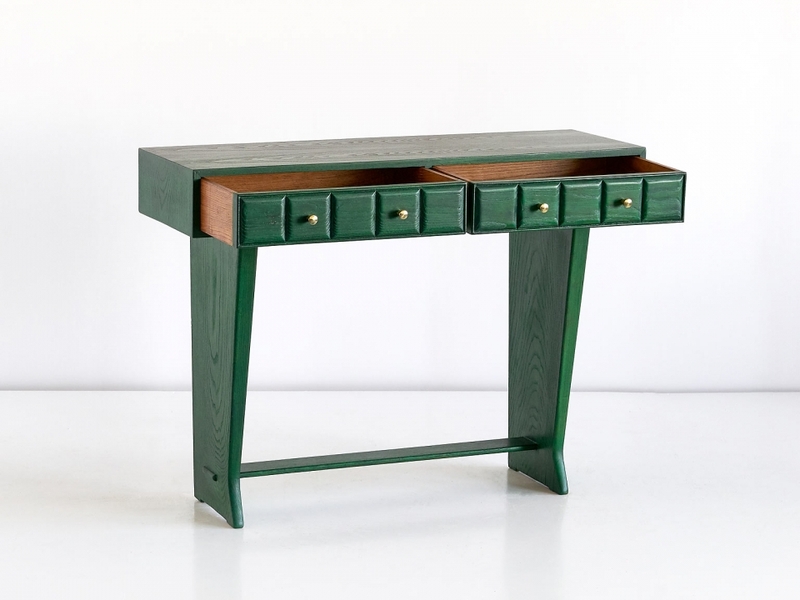 We have a matching cabinet available from the same provenance: http://kabinethubert.com/Inventory/green-italian-art-deco-cabinet-designed-for-a-florentine-residence.